The Japanese Larch, like the Dawn Redwood, is unusual in that it is a deciduous conifer. 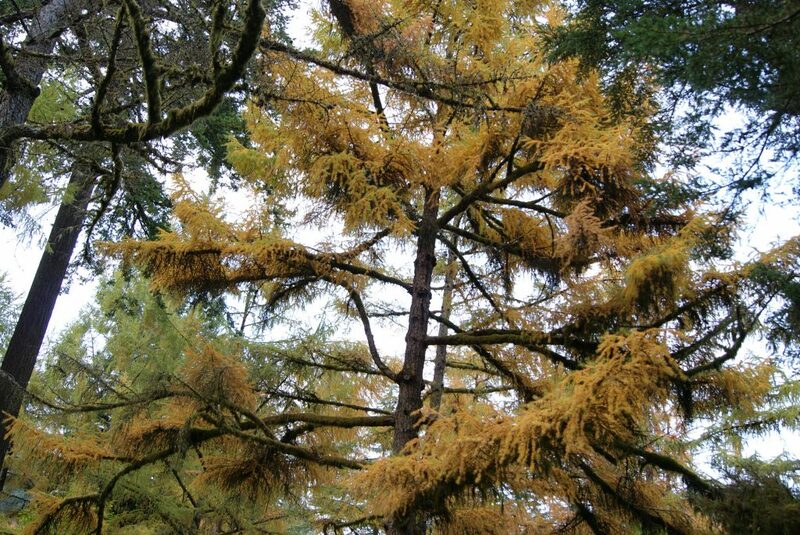 Japanese Larch has a tall, slender growth habit. Its fall color is a brilliant gold, which lasts for some time until its needles drop. Find it on the Redwood Trail as it turns right after Stevens Pavilion and before it hits Fischer Lane. Find it in the database. This holly is spectacular to observe! 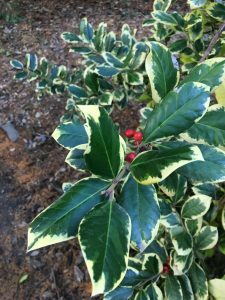 It has glossy evergreen leaves edged in white. 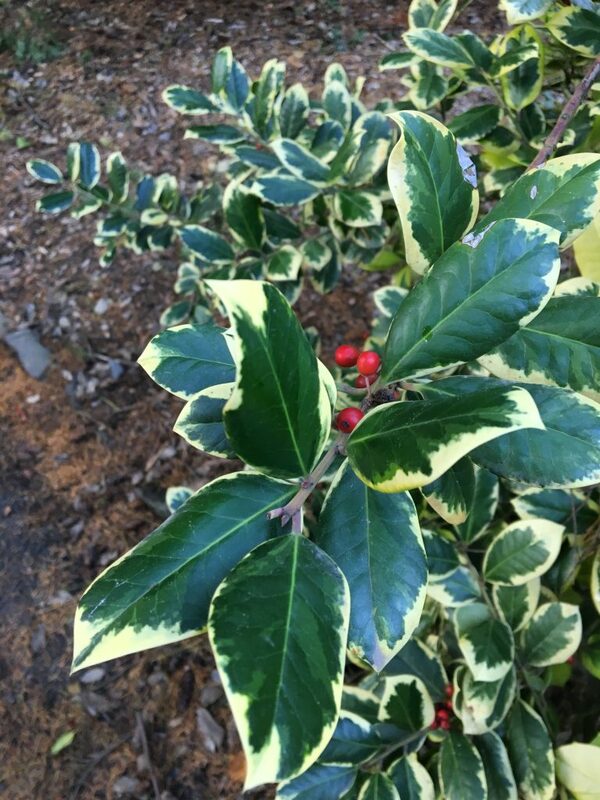 Nestled in the variegated leaves are eye-catching red berries. This beautiful native fir can reach 130 to 230 feet. Its blue-green needles are bent like hockey sticks at the base. 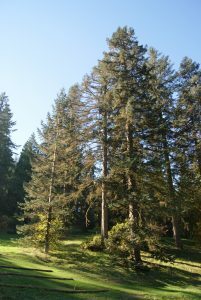 Noble fir cones, like all fir cones, grow erect at treetop. 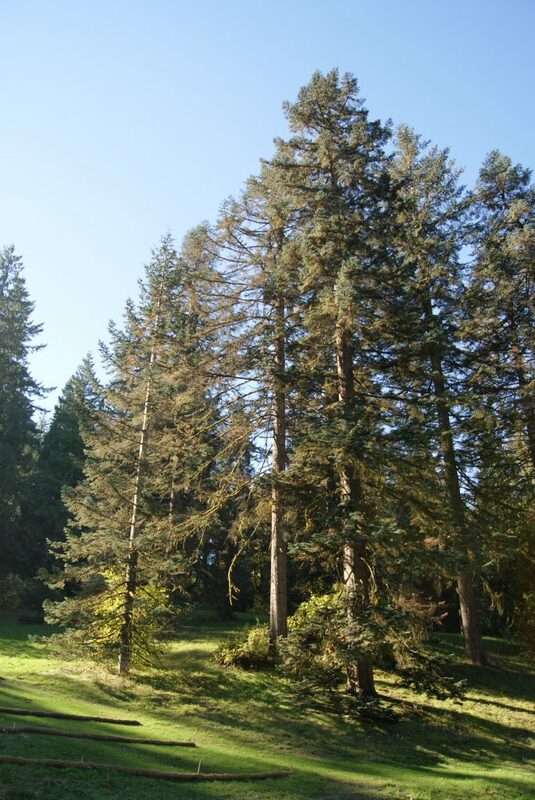 Fir wood had little commercial value as lumber; noble fir was once marketed as the more highly prized Oregon larch. Find it on the Fir Trail where it forks to the left of the Redwood Trail, left of the Stevens Pavilion. Both the ‘Westonbirt’ and ‘Sibirica’ dogwoods are ornamental delights, even in fall and winter. 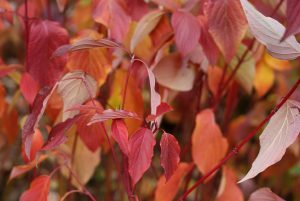 In autumn, these plants have excellent red color, but their red winter bark is especially spectacular.